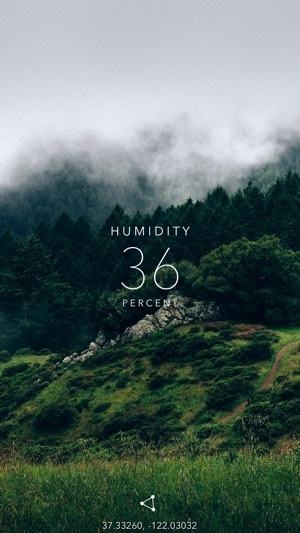 Humidity is a beautiful and ad free way to view your humidity levels and other various weather statistics based on your current location. This update adds support for iOS 9. 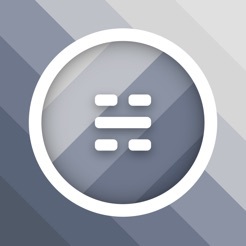 Beautifully simple app. It does what it claims and fulfills my inner-nerd curiosities.... but not my thirst for knowledge. Simple explanations of weather elements should have been a part of the app's initial design. You can then extended to a deeper examination of the core weather elements, as well as more complex concepts and interactions by linking to accurate, dependable weather sites. Your application is total nerd bate (this is a positive for your app). But it then disappoints those who are desirous of greater knowledge, understanding, and/or pragmatics. In short, I like the app and recommend it to my friends, though they be few, and family, and they be many! I may be missing something, but are the number values for each category given reference charts? I am particularly interested in the ozone numbers. I do not know if the value is high/low,healthy/unhealthy,worrisome /or not. Please forgive my ‘ non-techy’ capabilities, if this information is there and I, with my ineptitude, can’t locate these charts. I really appreciate knowing what the humidity is and will be. I’ve found that many of our ‘local’ broadcasts, leave this important detail out of their forecasts. This is a REAL make or break deal for me! So, thank you! this is the best weather app I have ever used. I found it through AppsGoneFree. unique to this app, it uses Dobson ozone measurements, which is great! I contacted the dev through the email provided in the app with a suggestion and heard back within 15 minutes with a thoughtful response to my suggestion (coming in the next update). if this app is still free, download it! if it's not, buy it and download it anyway!